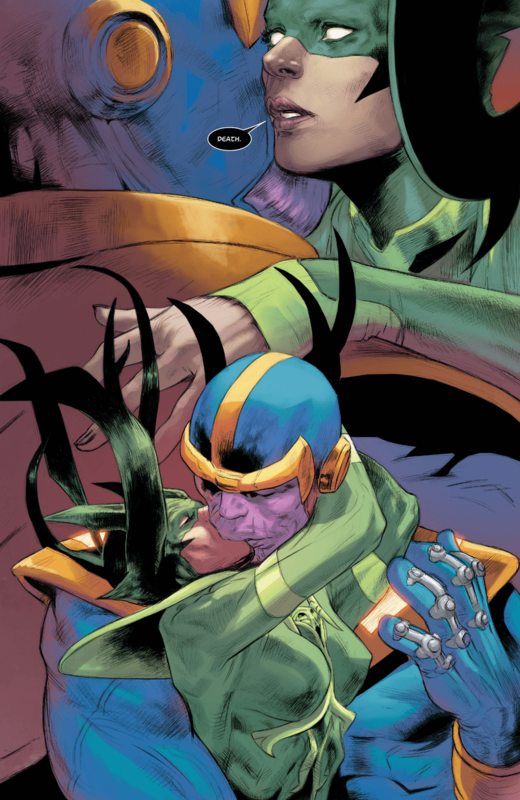 Still from Unworthy Thor # 5 is a look at Thanos and his new lover, something nobody was really expecting considering the solo “Thanos” book didn’t even drop a hint at this. 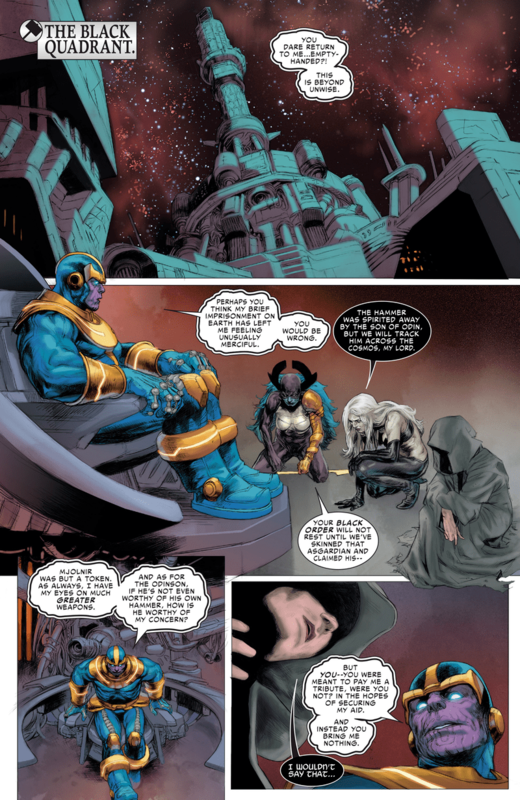 So in this issue, we find what’s left of Thanos’ team regrouping after their loss against Thor Odinson and Beta Ray Bill. They get trounced by Thanos who is most displeased with their failure in obtaining Ultimate Thor’s hammer. Oh and the mysterious lady who’s been hanging around Black Swan and Proxima Midnight is also still there. 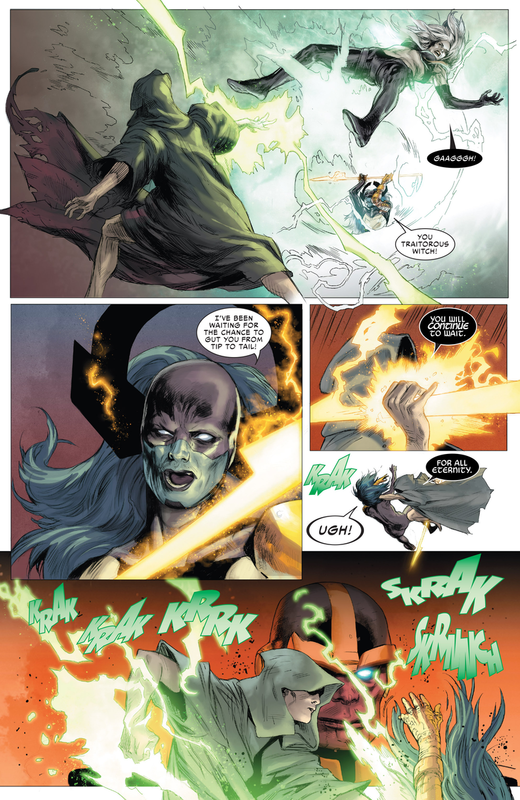 This mystery woman easily takes care of both Black Swan (who was a pretty powerful character back then during Jonathan Hickman’s run on New Avengers and Secret Wars) as well as Proxima Midnight who was a pretty durable fighter during Hickman’s Infinity storyline as well as the wife of Corvus Glaive who Thanos killed in Thanos # 1. 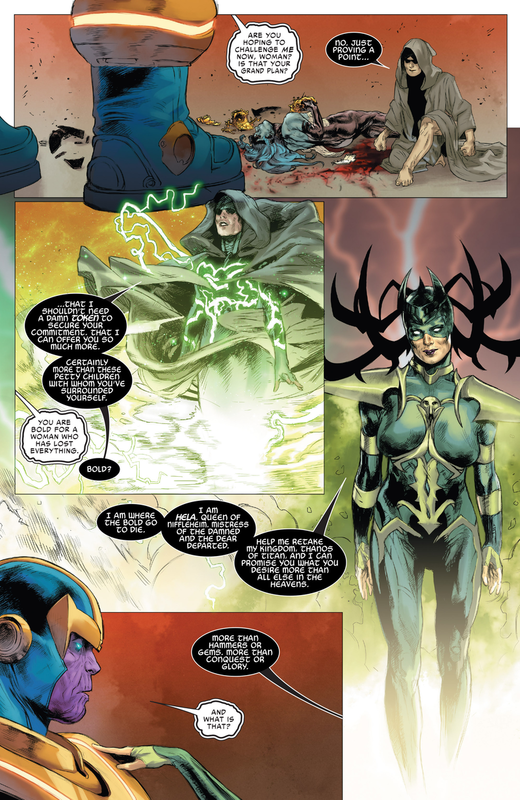 As it stands, the mysterious woman working with Thanos and his team of baddies is none other than the Asgardian Hela. 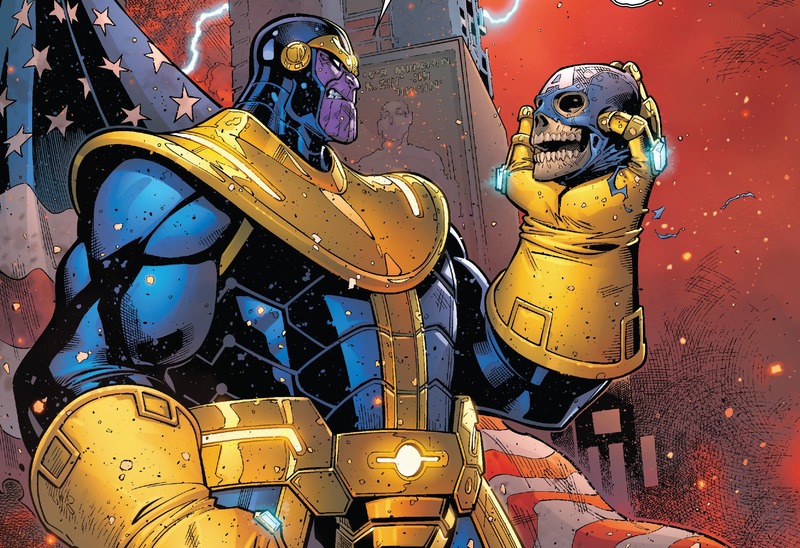 And like in “The Godfather”, she offers Thanos something he cannot refuse. Is Marvel Bringing Back Uncle Ben for their Dead No More Teaser?